There were no surprises from Liverpool on this year’s retained and released lists, which were submitted by all of the Premier League clubs this week as the preparations for the 2015-16 season begin. Report ranks Liverpool 5th, ABOVE Bayern, in ‘World’s most valuable squads’! Long-serving duo Steven Gerrard and Glen Johnson both go, as does goalkeeper Brad Jones, leaving the door open for our rumoured move for Bolton Wanderers goalkeeper Adam Bogdan (via The Metro). The trio are joined by academy prospects Jordan Lussey and Marc Pelosi, who both failed to make an impact at Anfield. Lussey, a 20-year-old midfielder, spent the second-half of last season on loan at Bolton but failed to make a single appearance. Pelosi, who turns 21 this month, has struggled with injuries during his time on Merseyside. The midfielder only managed six appearances for the reserves last year. Of course, our lengthy list of contracted players (which can be seen in full below) – or via the Premier League website – gives no indication of which players might be sold over the coming months. 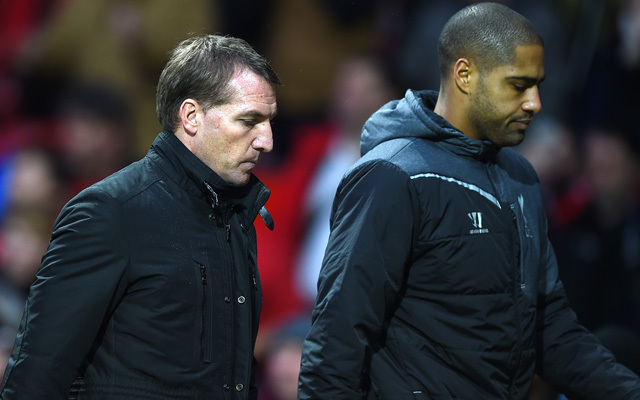 What remains to be seen, is whether Brendan Rodgers and co can find buyers for those that he wants to get rid of.